Apple watches have always been on a techie’s list ever since it has been introduced. The Apple Watch was the first major product family to be introduced after Steve Jobs’ passing and given the novelty of smartwatches for the general public. 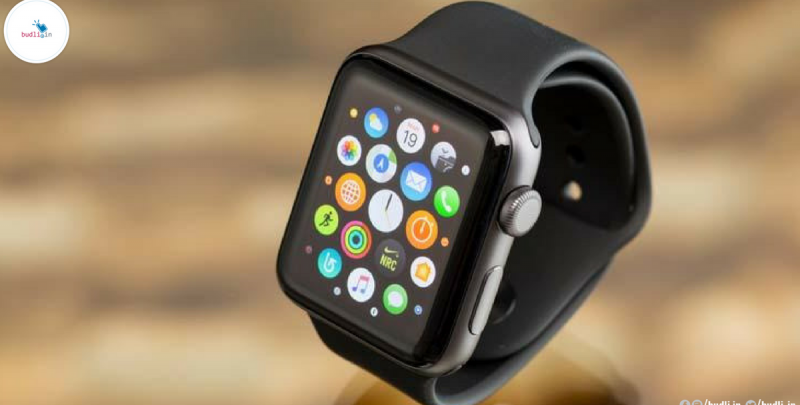 The original Apple watch was launched to the fanfare in the mid-2015 and was an instant hit, selling out in the weeks immediately after launch. It obviously had its flaws and then came out the Apple Watch Series 2 in which WatchOS updates have addressed some of the early criticisms. They also mentioned that the gadget could grow into – a communications device in its own right. Here, in this post, I will be putting the limelight on the features of Apple Watch Series 2 and tell you why you should own it. Built-in GPS: Are you more of an outdoor person, and you always like doing activities outside your house? But taking your smartphone every time wherever you go is becoming a headache? Worry no more because Apple has launched its Apple Watch Series 2 in which there is a built-in GPS which can keep a track of all your activities, distance, speed, number of paces and heart rate and also keep you notified about your health all the time, even without having to carry your smartphone all around. It also comes in handy for following tiny maps on a tiny screen when you’re hiking. Specially designed for swimmers: During the launch event of Apple Watch Series 2, they have spent a considerate amount of time talking about its appeal to swimmers. As this device is capable of tracking all the body activities, it not only monitors the swimmers’ strokes but also provides information about their bodies during their swim. This device features water resistance up to 50 meters that are about 164 feet, allowing it to handle intense water pressure while swimming. Dual-core microprocessor: The Apple Watch Series 2 features the new S2 microprocessor which is claimed to be 50 percent faster than the original Apple Watch microprocessor and offers double the performance for on-screen graphics. By this, we can say that it would be able to run powerful apps efficiently. Apple has also said that the Series 2 watch will last a whole day on a single charge. Manufactured by TSMC to a 16nm FinFET manufacturing process, it is a customised application processor that integrates memory and storage and supports wireless, sensors and I/O in a single, compact package. WatchOS 3: I’m sure everybody is going to agree if I say the WatchOS 1 was a complete failure. Apple rushed out watchOS 2 within a matter of months to make some particularly egregious shortcomings. Then comes the watchOS 3 which will launch applications around seven times faster and you can write messages with your fingertips directly to the watch. It also includes fixes for Activity Sharing and Clock face layouts, as well as an Auto Unlock feature. There is an Emergency SOS feature for contacting emergency services, or any other emergency number, that you can activate when you press the side button to bring up the power-off menu. However, all these features only work if the watch is connected to your iPhone for cellular access. Improved display: When you’re out with your watch and it’s almost mid-day and the sun is shining to its fullest, you don’t have to worry about the display not showing properly when you have the Series 2 watch. As the display on the new Apple Watch is twice as bright as the original device so you don’t need to squint quite as hard when you check the map. Apple described it as the brightest display the firm has ever produced. The display is supported by a vastly improved GPU, presumably supplied by Imagination Technologies which supplied the not-so-impressive GPU on the S1 chip. If you are someone who is thinking of buying a new smartwatch then you need to check out our online refurbished marketplace at budli.in. Refurbished products are the solution to your needs and if you want to own one then we will help you find the best device for you. We at budli.in are the leading marketplace for refurbished products in India. We have a huge inventory of products ranging from smartphones, smartwatches, tablets to laptops. Check out budli.in and grab your next best watch now!